DUBLIN BUS HAS been ordered to pay €1,200 to a ‘spare’ driver and told to change its rostering system so it is in line with current legislation. The ruling by the Labour Court has exposed a breach by the transport company of the Organisation of Working Time Act, which requires employers to inform workers of their start and finish times with at least 24 hours’ notice. The complainant, a spare driver, is employed on a fifteen week roster. For five of those weeks he has a set start and finish time, but for ten weeks he can be rostered for early duties, late duties or a mixture of both. An early duty for drivers in the company starts between 4.30 and 10am and the workers are told of their precise starting time at 1pm the day before the early shift. The driver submitted that this did not amount to 24 hours’ notice of his exact start and finish time. Dublin Bus said it had a collective agreement in place with the trade union to allow for this system. Deputy chairman of the Labour Court Brendan Hayes, however, said the company was not in a position to prove the existence of the agreement and so the court discounted it. The court found that Dublin Bus must comply with the terms of the act and notify the employee at least 24 hours before the scheduled start and finish time. He rejected the company’s assertion that it was in line with legislation as it told drivers 24 hours ahead of time whether they were on an early or late shift. Hayes pointed out there was a range of starting times spread over 5.5 hours in an early shift and this was not adequate. “Such a knowledge deprives the complainant of knowledge of his starting time and substitutes it with a starting time range that has no foundation in the act”. The court found the driver had not been provided with 24 hours’ notice in excess of 20 occasions. It also noted that this “infringement is systematic within the respondent’s rostering notification system”. However, it said Dublin Bus was taking steps to provide all staff affected with at least 24 hours’ notice of their start and finish times. The court upheld the award of compensation decided upon by the adjudication officer. “Were the respondent not taking steps to bring itself in line with the terms of the act, the court would consider a substantially higher award of compensation,” Hayes said. Dublin Bus has been ordered to pay its driver €1,200 in compensation. The Labour Court also ordered the company to comply with the terms of the act. In response to a query from TheJournal.ie, Dublin Bus said proposals “have been put to the relevant trade unions representing spare drivers to alter the current agreement to enable for the provision of 24 hours’ notice”. Email “Dublin Bus ordered to compensate driver over 'systematic' rostering breach”. 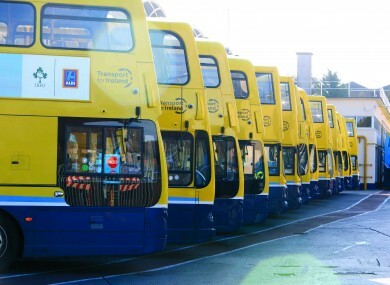 Feedback on “Dublin Bus ordered to compensate driver over 'systematic' rostering breach”.